Many who visit Vietnam say it’s one of the most colourful countries in all of Southeast Asia. They might argue that this is due, in part, to the distinct differences in culture and climate that exist between the north and the south of this spectacular nation. Whether you decide to spend your time in the north or south may depend on what time of year it is. The north tends to experience cool, damp winters and hot dry summers, whereas the south has more of a consistent tropical climate that is broken by a rainy season between May and November. Here Tracy Fitzgerald gives us a brief run down on where to go in Vietnam. An ideal time to visit North Vietnam is between September and December when it isn’t too humid and not yet cold. That said, capital Hanoi tends to be temperate all year round. UNESCO-listed Halong Bay as a World Heritage site due to its outstanding natural beauty and unique biological importance. Visitors who come to Halong Bay encounter formations of limestone islands that jut out of the water and are covered by jungle vegetation. It’s a dramatic sight and looks almost unworldly, as if the islands are floating on the water. Many of the rocks are hollow, with huge caves clustered inside them, and kayaking tours are one of the most popular ways to explore them. As the cosmopolitan capital of Vietnam, many visitors fly into Hanoi and use it as the starting point to explore the country’s northern regions. Boasting thousands of years of rich history, Hanoi is the place to come to see ancient Buddhist temples, national museums and get a taste of Vietnam’s long and varied traditions. The Old Quarter is well worth a visit. Little-changed since the days of ancient Hanoi, the streets are named after the various trades and retail goods once sold on them. If small traditional towns, spectacular mountain views and rice terraces are what draw you to Vietnam, then head to Sapa. Buses depart from Hanoi, but you can expect an eight-hour journey. It’s worth it though, as Sapa feels like a step back in time to a more traditional Vietnam. The locals are friendly and visitors can trek by verdant rice paddies, dense forests and spectacular waterfalls. Visit between December and April during dry season, when the temperature tends to be steadily in the high twenties (Celsius). Having said that, downpours during the rainy season from May to November tend to be short-lived and rarely put travellers off. Ho Chi Minh City is a bustling and at times chaotic place. 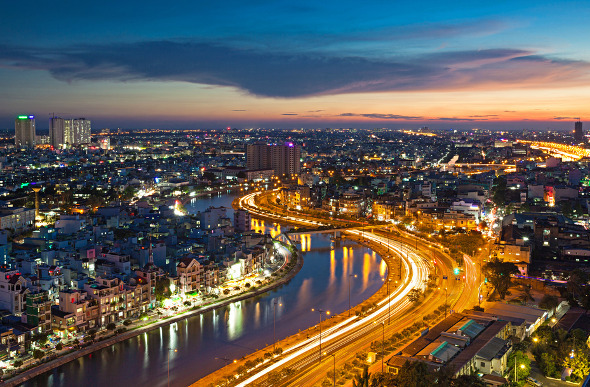 It’s everything you would imagine from Vietnam’s largest city, only at 10 times the speed! As you fly in, you can see streets of scooters whizzing in and out traffic – so many in fact that streams of red and white lights can be seen from the plane. It’s a wild and wonderful place, with great shopping, a huge variety of dining options and fantastic nightlife. Many visitors come here for a few days of living it up, before heading to a quieter beach town to relax. If you’re in Vietnam during the hotter months, Da Lat is a great option for a few days of cooler weather. It’s quite unlike anywhere else in Vietnam and is often referred to as ‘the city of eternal spring’. 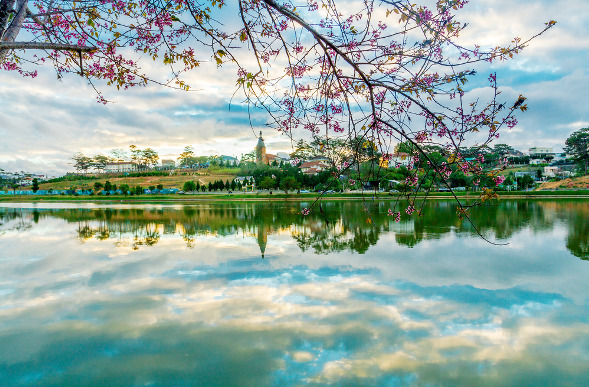 It’s not just the pleasant climate that draws in the crowds either; Dalat is surrounded by rolling countryside, huge waterfalls and forests and was once the playground for the elite of French colonial society. Nha Trang is perhaps the most renowned beach resort town in the south of Vietnam. Popular with expats and international tourists alike, it’s more urban than other beach resorts in Vietnam, and for that reason is a sensible place to head for those who enjoy their creature comforts. You can also head here if you’d like to try a bit of scuba diving too! Covering the southwestern portion of Vietnam, the expansive Mekong Delta is simply mind-blowing. Boat trips down the Mekong River propel you straight into old-world Vietnam, and homestays in the area are becoming a popular option for those who want to really feel like they’re getting away from it all. 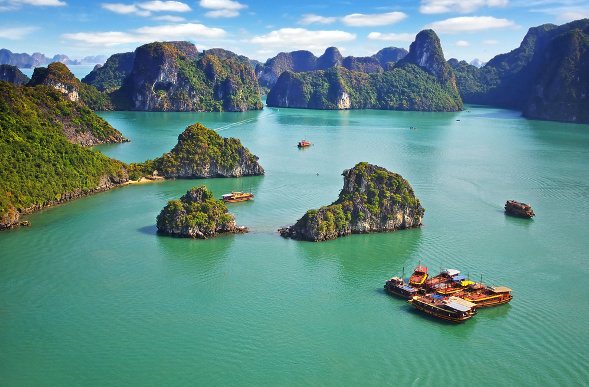 Explore the very best of Vietnam on our Essential Vietnam – North to South Journey, a tailor-made holiday that includes Hanoi, Halong Bay, Hoi An and Ho Chi Minh.